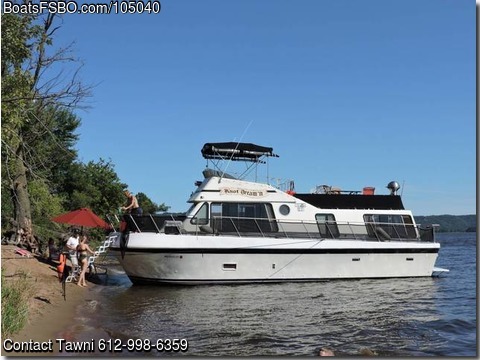 Call Tawni @ 612-998-6359 with any questions..Beautiful boat, Teak inside and out. Room in Main living area for futon. Two bathrooms, up and down, shower in both. Owners were planning to bring her to Florida for a live a board, plans changed due to medical issues. Boat is currently being kept in the water all winter for easy showings at an exclusive marina conveniently located several miles from downtown St Paul.All serious offers will be considered.